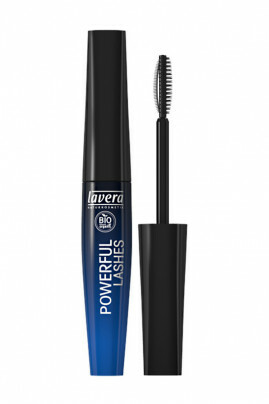 The Lavera Vegan Black Powerful Lashes Mascara curls and lengthens your lashes in a single gesture. His secret ? Its curved brush that accentuates the natural curve of your eyelashes and gaining them. Rich in natural active ingredients, this cosmetic makes your lashes soft and silky while protecting them. Easy to apply, it separates your lashes perfectly for a perfect result. Its black hue expands your look and reveals the natural beauty of your eyes. No more eyelash curler and flat eyelashes without curve! Thanks to Vegan Black Powerful Lashes Mascara, your lashes are deployed and expanded ! Dermatologically and ophthalmologically tested (suitable for contact lens wearers). Using small zig-zag movements, apply Lavera Vegan Black Front Row Curl Mascara from the root of your lashes to the tips. You can repeat the operation if necessary until you reach the desired intensity. A natural formula for long, perfectly curved eyelashes !